Nvidia's DXR drivers bring ray tracing to the masses. As promised at GDC, Nvidia has released its DirectX Raytracing (DXR) drivers for GTX cards today—grab them here. Okay, so they're not just for GTX cards, and they're Game Ready for Anno 1800, but DXR on GTX is arguably the highlight. The driver revision also sees a large jump, indicating this is a major update—Nvidia has gone from version 419.67 to 425.31. There's plenty to discuss, but testing ray tracing performance on GTX cards will require some time—more than I can do in just a couple of hours. Nvidia has provided its own internal benchmark results, some of which I've included below. As usual, take these with a grain of salt, but most of the numbers appear to be in line with what I'm seeing. I'm using a different testbed (overclocked i7-8700K instead of i9-7900X), and my results so far are a bit higher than Nvidia's for the faster RTX cards like the 2080 Ti. But the GTX cards are much slower with ray tracing, so the CPU used won't matter much there. Right now, Nvidia now lists seven games/demos/benchmarks with DXR support. 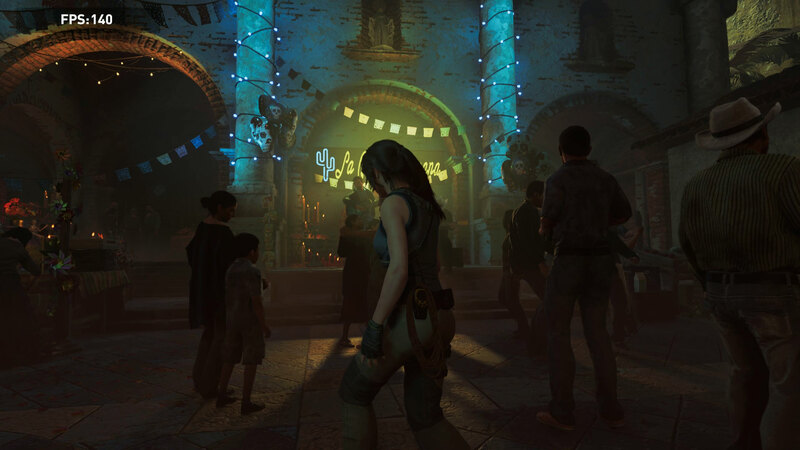 Shadow of the Tomb Raider, appropriately, confines its ray tracing to shadows. Battlefield 5 uses ray tracing for reflections, and Metro Exodus uses ray tracing for global illumination and ambient occlusion. Justice, a Chinese MMO, uses ray tracing for reflections, shadows, and caustics. Nvidia's own Star Wars Reflections demo is one of the most demanding approaches, with ray traced reflections, shadows, and ambient occlusion. 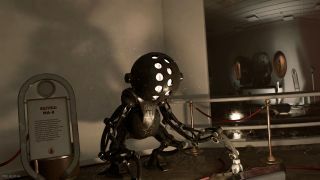 3DMark Port Royal features ray tracing reflections and shadows, and the Atomic Heart demo also uses DXR for reflections and shadows. We can also add the Quake 2 RT patch to the list, but that's still not a lot of options right now. I'm focusing on Nvidia's 1080p results, as I don't think running ray tracing on a GTX card at 1440p or 4k really makes sense. The GTX 1080 Ti might be able to manage it in a few cases, but the lower GPUs—especially stuff like the GTX 1060—simply don't have the requisite computational power. Such cards can run the benchmarks, but you'd never want to try and play games this way. Depending on the game and the complexity of the ray tracing it uses, faster GTX hardware is sometimes viable. Battlefield 5 with medium DXR reflections for instance breaks 60fps on a 1080 Ti—though DXR ultra drops it to just 42fps. Shadow of the Tomb Raider with high quality DXR shadows gets up to 52fps on the 1080 Ti, but that's about as good as it gets. The Port Royal, Atomic Heart, and Star Wars Reflections tests all use higher levels of ray tracing, and the 1080 Ti can't even get 30fps at 1080p. Something else worth noting is how the GTX 1660 / 1660 Ti compare to the 10-series cards with ray tracing. The Turing architecture cards can do integer and floating point calculations at the same time, whereas the Pascal and earlier architectures use the same CUDA cores for both FP32 and INT. What that means is even though a card like the GTX 1070 (5783 GFLOPS) theoretically has more computational power than the GTX 1660 (5027 GFLOPS), in many of the tests the GTX 1660 ends up being faster with ray tracing—and the more ray tracing that's used, the better the Turing cards do relative to Pascal, so for example in Atomic Heart and Star Wars Reflections, the 1660 even outperforms the GTX 1080. Most of the GTX cards perform quite poorly with higher levels of ray tracing, so why even bother with DXR-enabled drivers for GTX cards? Fundamentally, it's a case of increasing the amount of DXR-enabled hardware. Whether or not gamers want to use the DXR effects, with these new drivers the installed base of DXR cards just became many times larger. Or as Nvidia puts it, there are now "tens of millions of DXR GPUs." This also opens the doors for more research into DXR effects on lower tier hardware. Sure, the GTX 1060 performance looks pretty awful in 3DMark Port Royal, but it's not that bad in Battlefield 5 with medium DXR. 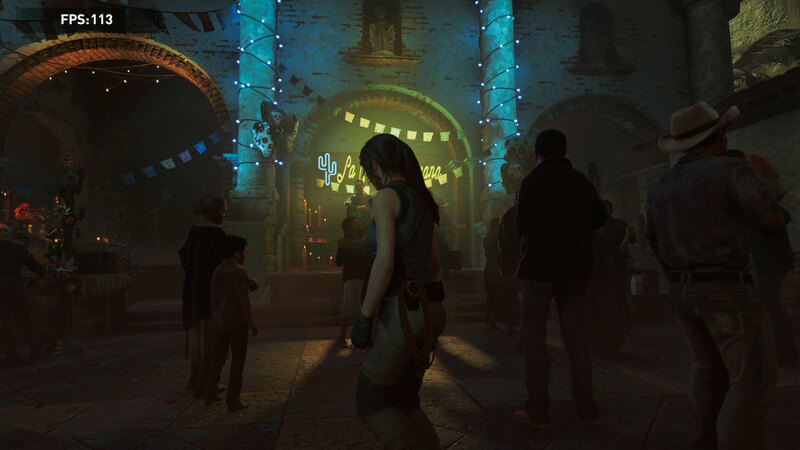 I've noticed in Shadow of the Tomb Raider as an example that without ray tracing, the game tends to swap between soft shadows and hard shadows based on distance from a light source, and it can be very distracting—even the minimum (medium) quality DXR shadows clearly look better (see above gallery). That's probably more of a developer decision rather than a technical limitation, but if it's easier to do lower levels of RT shadows and get a better result (without tanking framerate), it's a viable approach. If DXR is set to become the next evolution of DirectX, as Nvidia suggests, increasing the adoption rate of DXR in games will get us there sooner. With Unreal Engine and Unity both supporting DXR now, that should help as well. Still, it will likely be many years before DXR becomes a required feature in games. The hardware and software have gotten so good at faking it, that the minor improvements in visual fidelity often aren't worth the performance hit. Until the majority of gamers have graphics cards that can run DXR effects and still provide reasonable performance, I doubt game developers and publishers will want to restrict access to their games. Still, if you want to try out DXR on a GTX 10-series or 16-series card, now you can. I'm curious if AMD will respond in kind and release DXR-enabled drivers for its RX cards. Technically, there's nothing stopping AMD from doing so, but ultimately it will be more important for AMD to release hardware that accelerates ray tracing calculations if it wants to compete.